Alikatta: Alikatta forms an integral part of this national park. It's a planned hub which this park has planned for the visitors to see the amazing view of the expanse grasslands where one can spot lots of animals in the natural habitat. Most of the animals which can be spotted from Alikatta include the herbivores or the grazing herds' which may include the deers and the antelopes. Alikatta is the spot from where Elephant rides are started. Tiger Sansar: Tiger Sansar is an area very close to Alikatta. This place is unusually covered by dense weed which allows the tigers to seek good hide-outs. 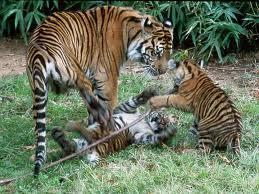 One can be lucky enough to spot the entire family of Tiger with their cubs playing joyfully in this weeds. Kalapahad: As soon as one enters the forest through the main gate, and passes through the main track which leads to the forest, he comes across the Kalapahad, which is a hilly area with lots of tree covers and a favorite spot of langurs and leopards. Raiyakassa: Raiyakassa is a Watchtower from where the tourists can watch the reservoir of River Pench. Now this spot is very important, as people can actually see many animals coming here to the reservoir for drinking water. Now the Park Officials also offer a choice of staying in this watch tower overnight for watching animals. Chhindimatta: Chhindimatta is a huge reservoir which offers excellent bird-watching options. 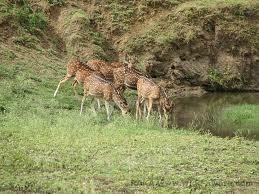 Apart from bird-watching, one can also see many animals visiting Chindimatta for drinking water. 1. Don't plan a visit to Park during Monsoons. The park is closed from Mid-June to Mid-October and your visit may be a complete failure. 2. If you plan your visit with help of a tour operator, then generally you don't face such problems, as tour operators are aware of when the Park is closed and when it opens. But for those who plan their tip on their own should remember these details about the park. 3. Since the nearest town for which one can say is located near the park is Nagpur. 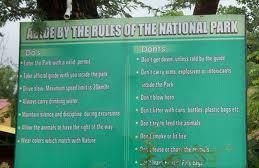 So visitors who wish to visit park should consider Nagpur as their first choice. 4. Try going on a Jungle Safari during Mornings, which can definitely broaden the chances of spotting wild animals and herbivores including THE Almighty Tiger. 5. All the resorts which offer accommodation nearby the park arrange for Jeep Safaris and Elephant Safaris. Hence it's ideal to suit yourselves with just one operator other than trying to make plans with many of them. 6. There are around 3 gates for the entrance to the park. And hence it depends on from where you visit. The nearest and the most convenient Entry gate is the Turia Gate. 7. Try and avoid using strong perfumes or deodorants which can scare the animals. Also prefer light clothing other than flashy wear. 8. Private vehicles have their own allotted area for parking, since they are not allowed inside the Gates. 9. Light Clothing preferable in summers may include T-shirts, Jeans or shorts. However in winters, light woolen is suggested. 10. Mobile connectivity can be a problem in the Forest area, as the network may not be available for cell phones. So don't expect much of the phone ringing here in this area. 11. While coming through the Nagpur – Jabalpur Highway don't forget to look for the Pench National Park Sign Board on the highway which you may come across at Khawasa. Take that turn from Khawasa, which leads to through a tar road to this park. 12. Last but not the least, if you really wish to spot a tiger, opt for a Elephant Ride which definitely adds more chances for spotting a tiger. Also, read Tourists Attractions nearby Pench National Park in Madhya Pradesh to learn more about this national park and tiger reserve. Here are few tips which can you should give it a thought while planning a trip to Pench national Park.